Note Based on the Decision of the King of Kings Council No. 28 Sub B.c.3 and 4 dated May 29, 1927, forest area in Mount Batur Bukit Payang designated as Forest Zone. On August 9, 1933, a borderline was erected. Then on December 15, 1933, the boundary was made and authorized by the Forestry Inspector on 19 March 1934 in Bogar. Based on the Forest Utilization Agreement, Forest Tourism Area Mount Batur Bukit Payang serves as Tourism Forest based on Decree of the Minister of Agriculture No. 821 / Kpts / Um / 11/1982 dated November 10, 1982 with an area of ​​± 2.075 Ha. This area belongs to the Register of Land of Forestry (RTK) 7 Mount Batur Bukit Payang. Natural Park Nature Park of Mount Batur Bukit Payang has been determined based on SK.204 / Menhut-II / 2014 dated March 3, 2014 on the Establishment of Forest Group Mount Batur-Hill Payang (RTK.7) 2,528 Ha Area with the Function Nature Tourism Park area of ​​2,075 Ha and Limited Production Forest Area of ​​453 Ha, located in Bangli Regency, Bali Province. Natural Park Mount Batur Bukit Payang is at an altitude of ± 1200 m above sea level with sloping slopes up to steep (3% to> 40%) to the summit of Mount Batur. The contours of the area are choppy to hilly. The highest point is at the peak of Mount Batur (1717 mdpl) and the lowest point is equal to the surface of Lake Batur water, the average of 1,031 mdpl. Erosion of surface water is great especially on the slopes of Mount Batur with its still loose rocks. At the peak and slopes of Mount Batur is a forbidden area and area of ​​Hazard I and Hazard II and is a potential area for landslides. Based on the geological map of Bali Province (1971), geohydrological unit of Nature Park area of ​​Mount Batur Bukit Payang consists of lava, breccia and tuffa, volcaniclastic sediment and lecustrine / alluvium deposit. Based on the draft of Spatial Planning of Kintamani Subdistrict, geological and lithology conditions in Kecamatan Kintamani in the area around Kintamani, North Batur, Batur Tengah, South Batur, Songan Abang are young and old volcanic deposits. The young volcanic sediment consists of sand lava and lapilli which are generally not yet hardened and rather loose, and locals also have lava breccias that are compact and hard. The old volcanic deposits of breccia and lava are hard and compact. Around Kedisan Village and Buahan Village its lithology consists of alluvial deposits of lakes, volcanic rocks and sediments. Alluvial sediment of the lake in the form of sand, silt and sand clay. Sand is loose and silt and clay is soft. Old volcanic rocks are rather hard and dense. Sedimentary rock consists of a conglomerate and sand rocks are compact. 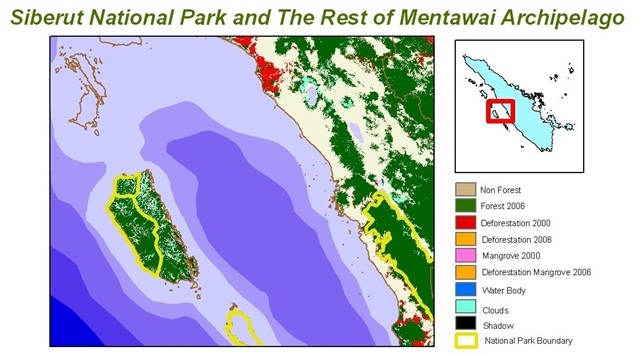 Based on the land classification system of Bali Province in 1949, Nature Park is almost 80% covered by lava and 20% of land belonging to the Order of Eutisol (Lithosol). The level of soil stability indicates the soil at the base of the caldera is quite stable, this is supported by a generally sloping contour, when heavy rain does not show the flow of rainwater above the soil, the water of Lake Batur on the clear colored edge, the base of Lake Batur consists of sand and lava eruption of Mount Batur (no mud). Identification Level of tree: Ampupu (Eucaliyptus urophylla), Pinus (Pinus merkusii), Mountain pine (Casuarina junghuhniana), etc. Sustainability level: Sano rivet (Dalbergia latifolia), Ampupu (Eucaliyptus urophylla), Pinus (Pinus merkusii), Seming (Pometia sp. ), Etc. Level of seedlings: Pinus (Pinus merkusil), Kace landa, Kerasi (Lantana camara), Papaya forest, Ketiblun, Wood sinduk, Rice, Tulak (Schefflera sp. ), Etc. Lower plants: Padang Bagas, Kasua, Paku, Kesimbukan, Gelagah, dll. Birds: Falalys (Falco moluccensis), Red Forest Chickens (Gallus gallus), Wonders of ketupa (Ketupa ketupu), Gray turret (Lanius schach), Bandai Jawa (Lonchura leucogastroides), Bandai peking (Lonchura punctulata), Church (Passer montanus ), Javanese chilli (Oicaeum trochileum), Cabak town (Caprimulgus affinis), Caladi ulam (Oendrocopos macei), Cekakak river (Todirhamphus chloris), Cerukcuk (Pycnonotus goiavier), Malay coffee Cica (Pomatorhinus montanus), Tepus silver cheek (Stachyris melanotorax ), Cica koreng jawa (Megalurus palustris), Perenjak Jawa (Prinia familiaris), Cipoh (Aegithina tiphia), Decu stripes (Saxicola torquata), Large Meninting (Enicurus leschenaulti), Bidy Eagle (Spilornis cheela), Elang berontok (Nisaetus cirrhatus ), Wrap of stone (Parus major), Tricycle (Turnix suscitator), Snake moor (Turnix sylvatica), Lsap honey (Lichmera limbata), Jingjing stone (Hemipus hirudinaceus), Ordinary glasses (Zosterops palpebrosus), Kepodang (Oriolus chinensis) , Kite fire (H irundo rustica), honey sriganti (Nectarinia jugularis), ivory (Treron vernans), Tekukur (Streptopellia chinensis), stupid (Ficedula westermanni), Takur (Megalaima sp. ), cow swallow (Collocalia esculenta), Wiwik uncuing (Cuculus sepulcralis ).